The latest issue of Hispabrick Magazine is now available in English. This issue includes interviews with Pete Reid and the admins of the Brick-Busters anti-plagiarism group, as well as features on how to clean LEGO, learning about LDraw, and more. 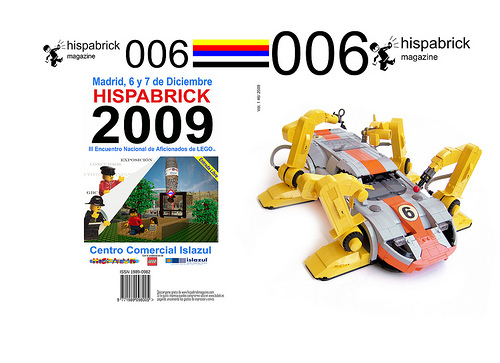 Click the pic for links to download both the English and Spanish versions of Hispabrick Magazine 006. That’s a lot of hoops to jump through just to download a PDF.